Following embarrassing confusion at its 18th congress, the PNCR today charged that there had been attempted sabotage which will be investigated and it also said that an “explosive sound” was heard just as delegates were assembling to vote. PNCR Leader David Granger was returned unopposed after challenger Aubrey Norton withdrew in protest over the delegates list. There was also a ruction with the Region 10 group over the list of accredited delegates. Around this time a gunshot was fired after the Region 10 members tried to approach the area where voting was taking place. Donnie McClurkin – We are Victorious! Please do not come expecting your eggs over easy and your bacon on rye. 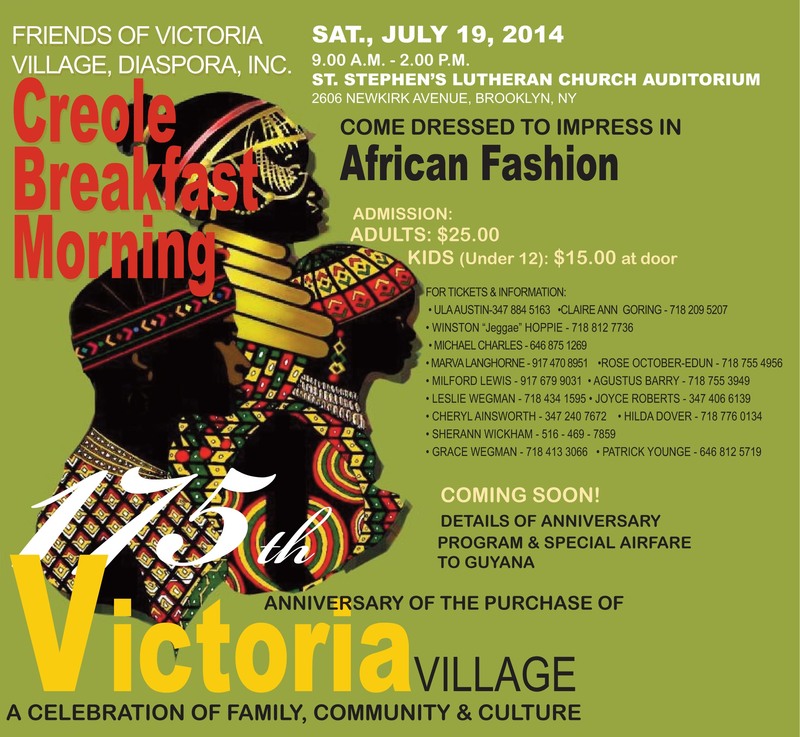 This year’s Victoria breakfast morning promises to deliver authentic Creole dishes that are fulfilling and motivating. We need it now or never. The organizing committee has deliberately planned the breakfast as a meeting with a purpose to discount the trials and tribulations, the deaths and debts the populace has had to endure in spite of a lofty tradition of purchasing their community 175 years ago. Victoria needs all its peoples irrespective of their station in life. The purpose of the breakfast morning is to rekindle and recapture the spirit of togetherness and productivity. Hazel Marshall, a Guyanese teacher in the Georgia school system, amassed 36 of her best buddies for a visit to Panama to celebrate her 60th Birthday. All decorations and preparations were in place for the Saturday night party on July 5th in the hotel where they stayed, when a member of the group did not observe the Hurricane Albert warnings and ventured out on the morning of July 5th for a stroll on the beach at the resort. Scores of invitees to fourth of July American Independence Day celebration in Guyana are reeling from post traumatic stress disorder after acting foreign affairs minister Ms Priya Manickchand wailed into the Obama administration accusing the outgoing ambassador of crossing an imaginary red line, and meddling in its business. The children grandchildren and god children set the tone and pace for an all nite sixtieth birthday bash for former policeman sir John Campbell at his official residence on Jamaica Avenue Brooklyn New York over the last weekend. The Grandchildren performed part, part karaoke leading off with Ben E King ‘Stand by me’ an obvious tribute to his wife Desiree. They then moved into sing along songs of yesteryear.